This is the best, softest, thickest microfiber towel I have ever used. It makes others seem like sandpaper. The first time I use one to wax my car, I saw its best shine ever. I highly recommend this towel. 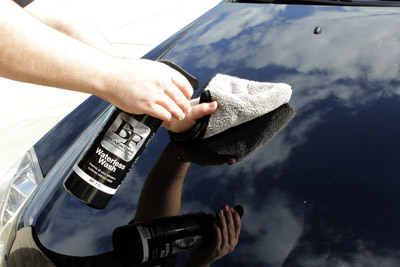 Works great to buff off paste or liquid polish. Also works well for applying them although I've gone to foam applicators for that purpose now. I was putting together an order to split with a friend anyway, and noticed these microfibers in the buy one get one frees. I saw there were no reviews, but the pictures looked promising, so I gave it a shot. I'm very glad I did! I haven't used them yet, but they are sooo soft and plush I'm sure they'll be excellent. If your on the fence, jump! These are a good value, especially BOGO.